The US’ largest generics and biosimilars trade body has rebranded itself as part of a national effort to contain the cost of prescription medicines. President Donald Trump has vowed to tackle the high cost of prescription drugs in the US, which affects patients because – in many cases – they have to cover their costs, or part of their costs, from their own pockets depending on the terms of their health insurance scheme. The Generic Pharmaceutical Association has said it will change its name to the Association for Accessible Medicines. At the same time, it has launched a campaign “Keeping Medicines in Reach”, which shares the story of patients whose health and lives are improved by access to generic drugs. This follows a similar move by its European equivalent – the European Generic and Biosimilar Medicines Association (EGA) last year changed its name to Medicines for Europe. Jeff Watson, president of global generics at Apotex, has been elected chairman, succeeding Mylan CEO Heather Bresch – whose company has ironically been investigated by US authorities over the price of its Epipen anaphylactic shock treatment. It’s currently unclear what Trump is planning for the generics industry. When he met with pharma CEOs last month, the president reportedly cited concerns about the ongoing backlog of around 4,000 generic drug applications at the FDA. This has been a long-standing issue – although regulatory experts point out that around 1,800 of these applications have been caused by companies that are still responding to rejections. The FDA is also in Trump’s cross-hairs in a drive to cut bureaucracy. It is one of several departments that has been ordered to cut two regulations for every one new regulation and there are concerns about what functions could be affected. Another cause for concern is the repeal of the Affordable Care Act – as with many of Trump’s policies details are sketchy, but the industry is concerned that the biosimilar approval pathway Obama introduced alongside his healthcare reforms could also be axed. CEO Chip Davis said: “The Association’s new identity will improve recognition that the generic and biosimilar medicines industry is one of the nation’s great health care success stories, and that competition from generics and biosimilars lowers the cost of medicine. Generics represent nearly 90% of all prescriptions in the US but only 27% of total drug costs. 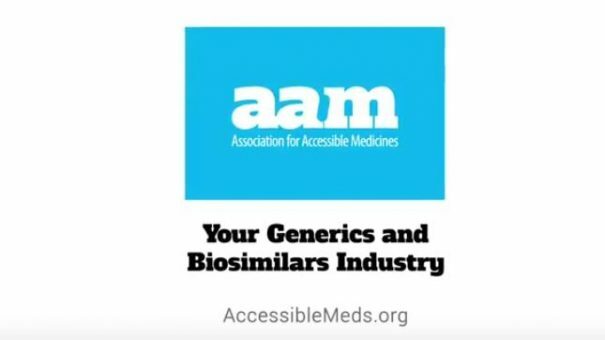 According to FDA estimates, generics are typically 80-85% less expensive than their branded equivalents, and the AAM cited separate research showing biosimilars could save the US health system $250 billion in the next ten years. Patient stories will be featured in social media, broadcast, cable and digital advertising and will also be available on the association’s website. Trump has been preoccupied with other matters than drug prices in recent days, but in a rambling press conference last week, blamed Democrat representative Elijah Cummings for failing to arrange a meeting over drug prices. Like left-wing Democrat Bernie Sanders, Cummings has been a staunch critic of big pharma and the high prices of drugs.